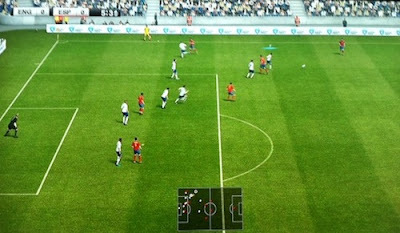 Here is a screenshot of the new pitchside camera view for PES 2012. I played PES 2012 using this camera mode during my playtest last month, and immediately, I thought it was fantastic. Unfortunately, I haven't been able to post up a screenshot... until now! A big OPE thank you to Pete Evo, who again, shared this photo on our forums.